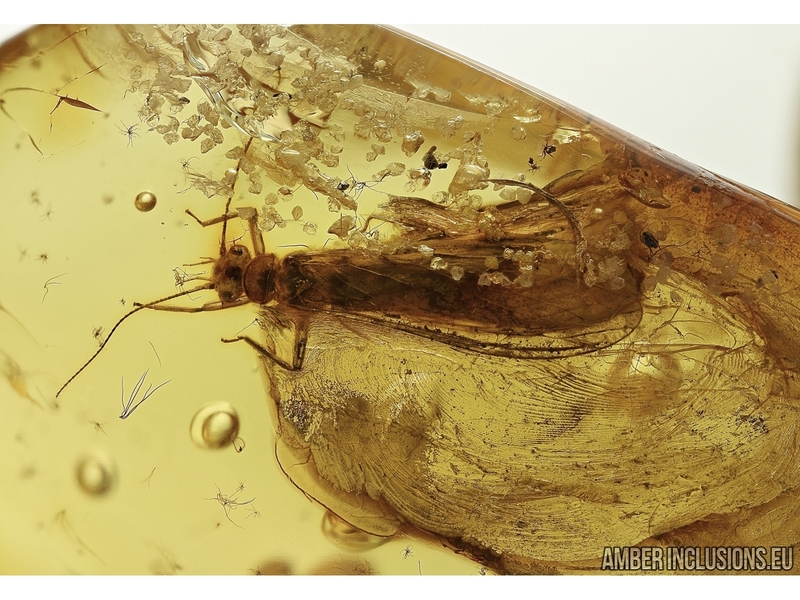 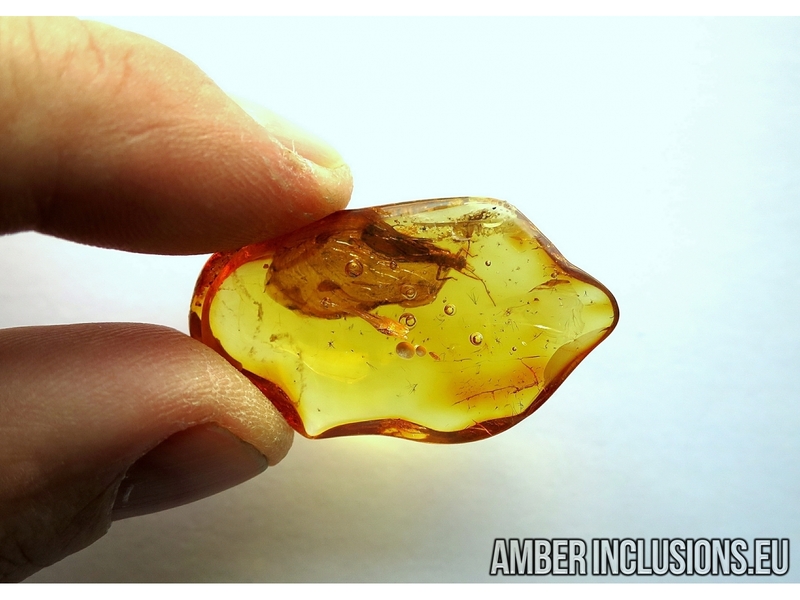 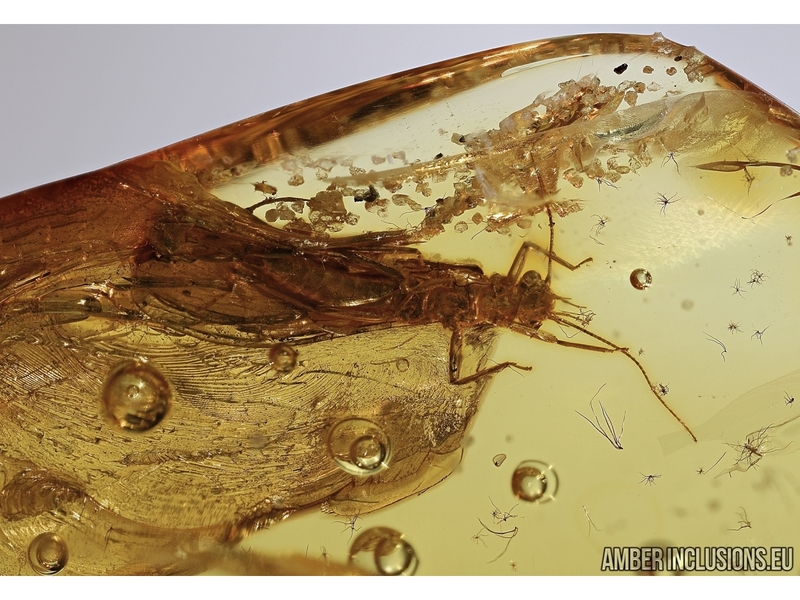 Baltic amber stone with fossil insect - Aquatic stonefly, Plecoptera and Quartz grains. 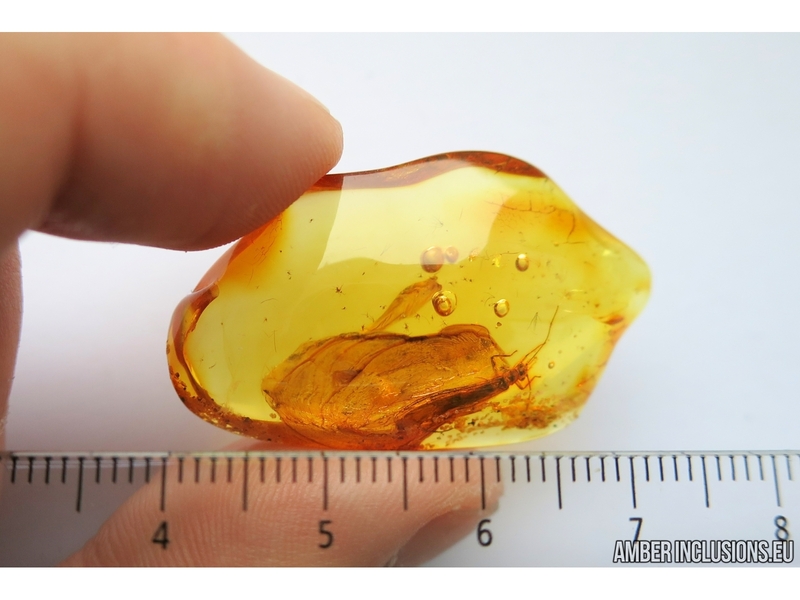 It weighs 4.2 grams. 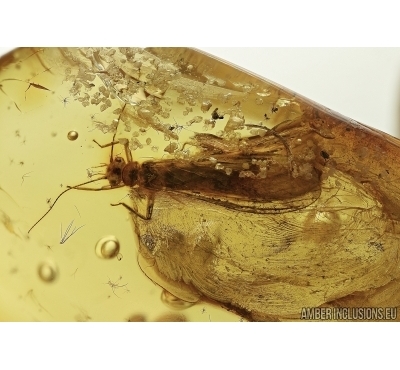 Measurements of stone 40x23x9mm, length of stonefly ~9mm.